HOUSTON (Reuters) - Oil prices fell 3 percent on Tuesday over concerns the world's stumbling economy could pinch fuel demand as U.S. crude output climbs to new heights and cuts by Saudi Arabia and its allies are smaller than advertised. Brent oil futures (LCOc1) were down $1.82, or 2.9 percent, at $60.92 a barrel by 1:45 p.m. EST (1845 GMT). U.S. West Texas Intermediate (WTI) crude futures (CLc1) fell $1.57, or 2.9 percent, to $52.23. 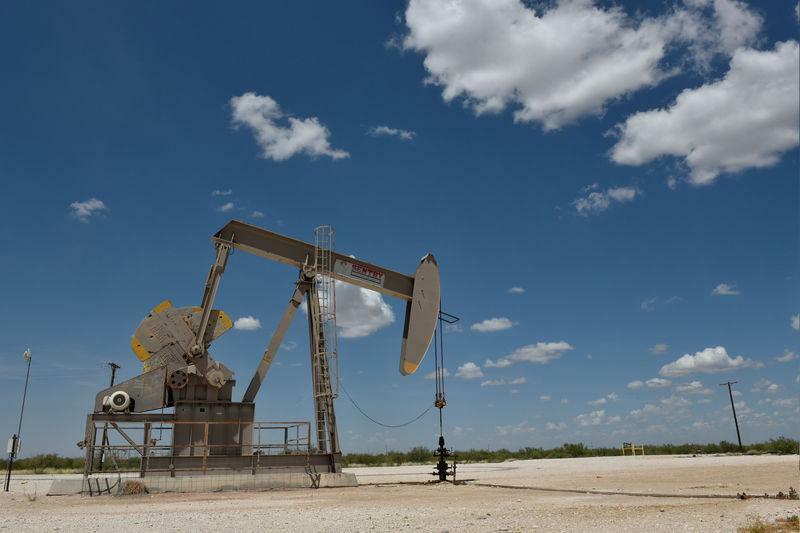 U.S. government data last week showed the nation's crude production reached a record 11.9 million bpd. "They weren't expecting that (nearly 12 million bpd production record) for a few months," said Tariq Zahir, managing member at Tyche Capital in New York. "We saw a very large drop in (U.S. oil drilling) rigs on Friday, but it comes down to whether Saudi Arabia is really going to do these cuts." Russia's Energy Minister Alexander Novak will not fly to Switzerland to attend the Davos world economic forum due to changes in his schedule, an energy ministry spokeswoman said. Falih, who has criticized Russia's output cuts as being slower than expected, was also unlikely to visit, according to a Bloomberg report. "There's speculation those two might not see eye to eye," said Robert Yawger, director of energy futures at Mizuho in New York. "The Russians are not cutting with the same enthusiasm that the Saudis are." The International Monetary Fund on Monday warned the risk of a pronounced global slowdown has risen because of constrained international trade, and it trimmed its 2019 global growth forecast to 3.5 percent, from 3.7 percent in last October's outlook. IMF Managing Director Christine Lagarde said in Davos that the slowing growth does not signal an impending recession, but said the risk of "a sharper decline" in global growth has increased. Singapore-based tanker brokerage Eastport said China's slowing manufacturing activity is likely weighing on demand. "There's a lot of concern in the oil market about China's weaker economic data," said Phillip Streible, senior market strategist at RJO Futures. "It's economic expansion is the weakest since 1990."